This tutorial will introduce you to the process of installing a new addon on your Concrete5 website. The process is easy and you do not need development knowledge to complete that. It is recommended to create Concrete5 backup, before making major changes on your website. This allows you to restore it to a fully operational state if something goes wrong. Sometimes, you may find yourself in the need of additional functionality on your Concrete5 website. There is a solution for that as they is a large number of addons available for the product. The installation of such addons is quite easy using Concrete5 and it is automated as well, which means that you will not need any development knowledge to complete that. The first step is to access your website as administrator and click on the Dashboard button at the top-right corner of the screen. Then, click on the Extend Concrete5 button to proceed. 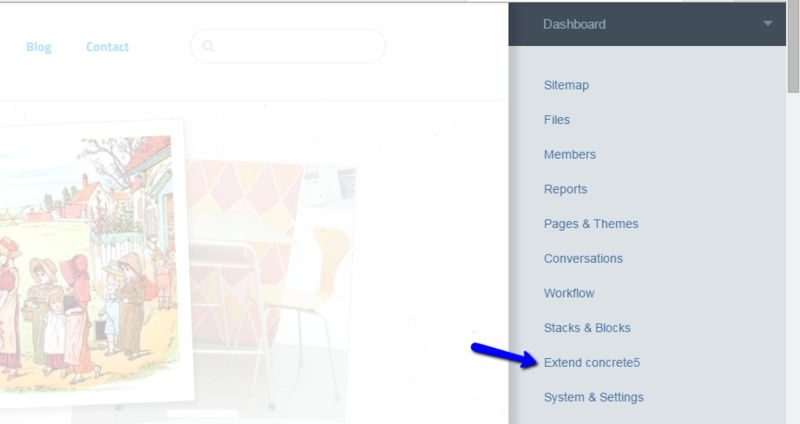 Then, you need to connect to the Concrete5 Community profile. For that purpose, you need to register at the official Concrete5 website. Once you have a valid registration, click on the Connect to Community button to proceed. Enter your username and password and click on the Sign In button. Find an addon that you wish to install and click on it. Click on the Download & Install button to initiate the process.